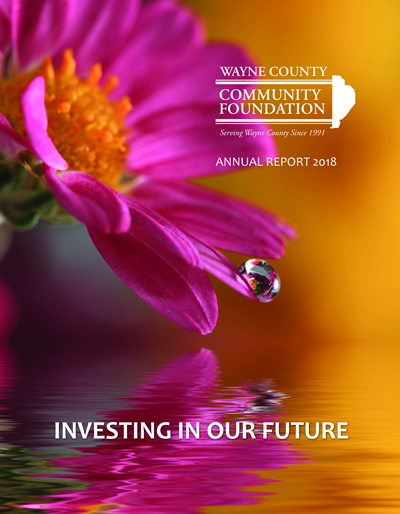 Wayne County Resident Seniors may apply for scholarships by using a printed application or submitting an application online at waynefoundation.org. We prefer online applications. All applicants must have an official transcript of their school record sent to the Foundations office at the address listed below. Scholarship selections will be made by the Wayne County Community Foundations Grants Committee comprised of Foundation Board Members. Approximately 35 scholarships are awarded each year. A list of each year's scholarships, their amount, and selection criteria is available in your guidance office and online. Scholarships are given to students that reside in Wayne County and are attending a private or public high school. Typically, we receive applications from then different high schools. Your application must be received by April 1st in the Foundation's office at: WAYNE COUNTY COMMUNITY FOUNDATION 214 9th St. Honesdale, PA 18431. Click here for a printer-friendly PDF version of the application.